Do you want to book more acting jobs? Welcome! 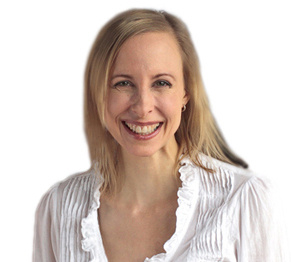 I’m Rhonda Musak and I have been coaching actors since 1999 to master the skills they need so they can book the job and do what they love most: Act. Actors must be ready when opportunity strikes. 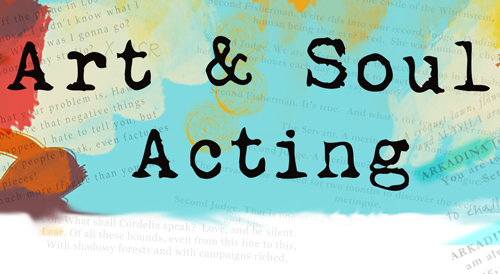 This website offers actors ways to do just that: professional classes and workshops, a book club that focuses on plays, a summer intensive for teens and a blog filled with the vital information actors need in order to prosper. When an actor is hired for a project, they must rely on their craft to accomplish results. The secret of growing acting skill that is ready on-demand: combining proven methods with practice, practice, practice. One can spend all day long reading about acting, but the learning is in the doing. An acting technique that is technically grounded and emotionally expressive leads actors toward ownership of their acting skills. And when you’ve booked that job, that’s just the kind of technique that is going to serve. I invite you to take advantage of all that Art & Soul Acting has to offer so that you are ready to soar in all of your acting work. 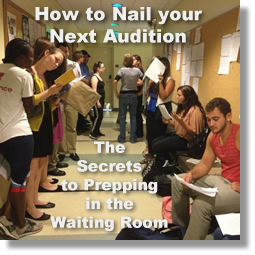 Be sure to include your name on the mailing list to receive your FREE 19-minute audition prep audio: How to NAIL Your Next Audition – Secrets for Prepping in the Waiting Room. Sign up today and receive an audition preparation audio meditation! Download to your smartphone and listen while you are in the waiting room at your next audition. You will be taken through a 19-minute process which covers presence, relaxation, sensory work and concludes with a focus on the specific material you’ll be presenting at the audition. Powerful! The 11th annual Leap with Passion workshop is a dynamic way to set the stage for a fantastic 2019. Actors and non-actors alike are welcome. Video: Tiffany Hodges on Leaping! Please join me for my monthly Salon Series in NYC!